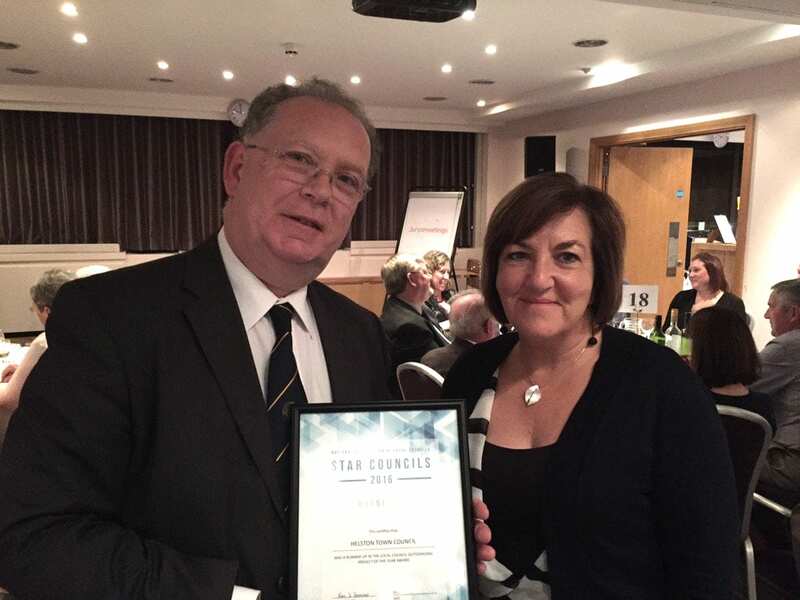 Andrea Gilbert, Inclusion Cornwall Manager and Mike Thomas, Helston Town Councillor, collect Star Council award. This trail blazing project, co-ordinated by Inclusion Cornwall and led by Helston Town Council, has yet again been recognised at a national level – this time as one of the top 3 projects in the country by the National Association of Local Councils (NALC), at the prestigious Star Council Awards. The award was collected by Andrea Gilbert, Inclusion Cornwall Manager, at an awards ceremony in Birmingham on 19th October.